PSP 2Meters, Tuner from PSP Audioware. PSP Audioware releases PSP 2Meters, a bundle with two sound level measurement plug-ins for Mac and Windows. 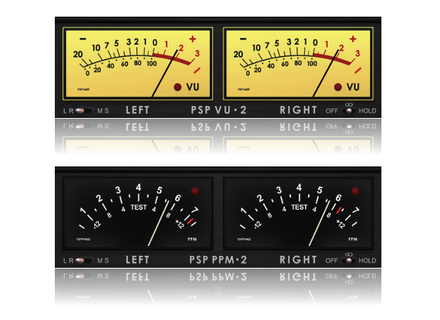 The PSP 2Meters bundle features the PSP VU2 and PSP PPM2 plug-ins. The first one offers a classic VU-meter with clipping indicator (red zone), while the second is based on European and BBC PPM metering and also features overload indicators. Both plug-ins allow for right and left, but also Mid and Side measurements and you can adjust the integration and reference times. 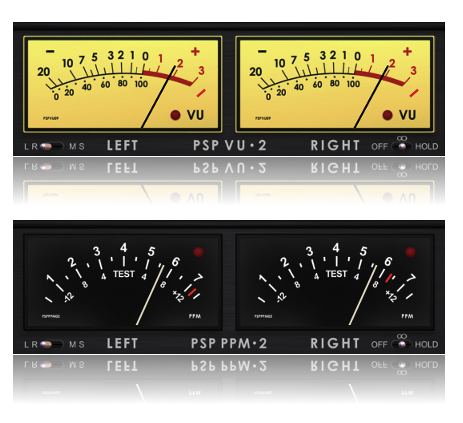 The PSP 2Meters bundle is available in VST, AU, AAX and RTAS formats on Mac OS X (10.5 and later) and Windows (XP SP 2 and later) 32 and 64-bit. They retail for the introductory price of $9.90 instead of $14.90 until June 1st and you can download a demo version from pspaudioware.com. Friday's Freeware: an HTML 5 Drum Machine This week, we won't offer you anything to download. If you want to use the Friday's Freeware, you'll only need a web browser. Big Fish Audio Vintage Vibe sound library Big Fish Audio launches a new sound library for Kontakt 5 and Reason 6 which features instrument sounds that cover 60 years of music history.